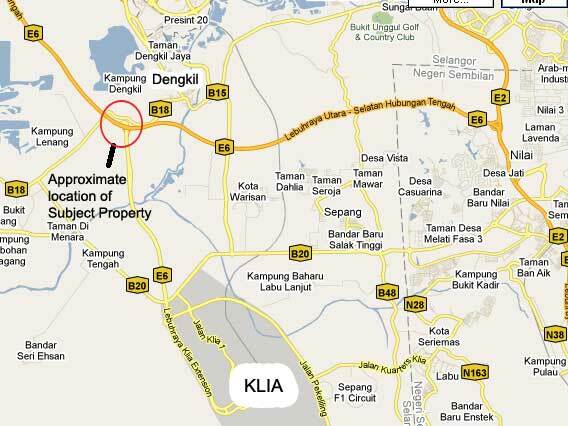 The subject property is located 3.5 km from Dengkil town along the trunk road to Banting. The land is slightly below road level. Electricity and water is available in the vicinity. The is also a big factory, Intercontinental Specialty Food along the same road. Should be suitable for industrial use.